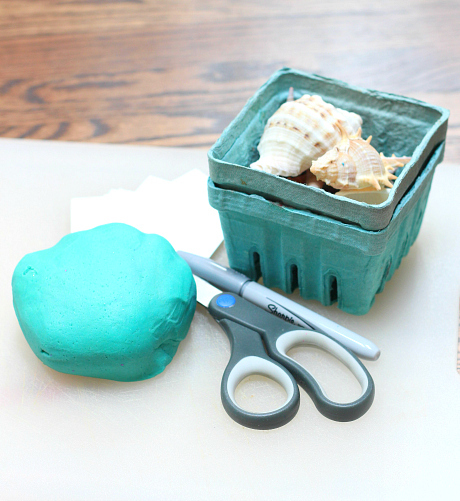 The beach and playdough are two of our very favorite things. 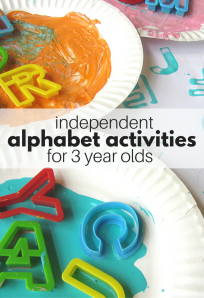 Put them together and you have the perfect tactile summer letter activity. 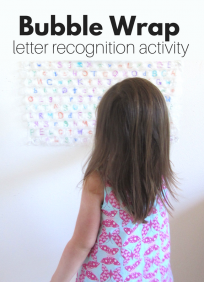 My daughter has been able to recognize her letters for a long time as well as their sounds but forming those letters is still something we are working on often. 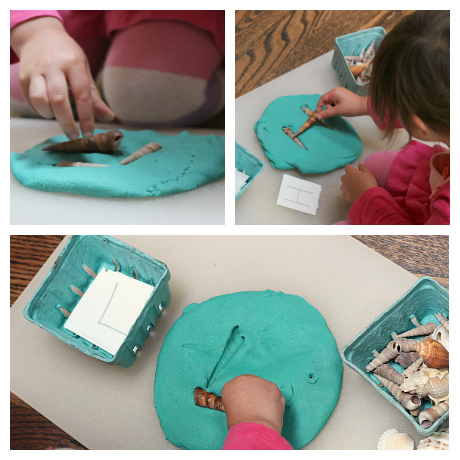 This alphabet activity combines textures to make creating letters truly hands on. 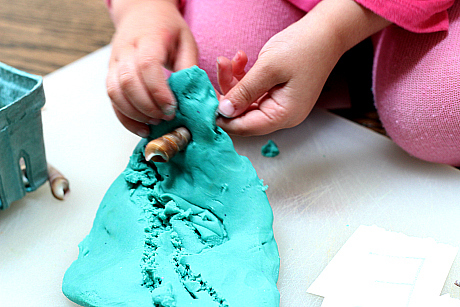 As you will see after the initial activity she modified it for more play while I sat back and marveled at how quickly she went from a baby to a child… some days you just need to stare at them don’t you? Gather your materials. 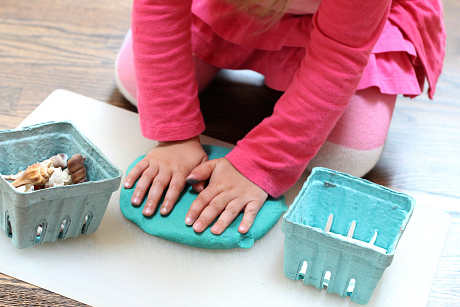 You will need some shells, playdough, a cutting board or other playdough friendly surface, card stock, marker, some fun containers and a little letter engineer ready to explore. Start by setting things up. When I make an invitation to learn like this I usually have it set up so she knows what to do and then let her explore with out me interjecting. In a classroom I would have this set out on a table and allow the students to come and go ( or not come and go) as they pleased. 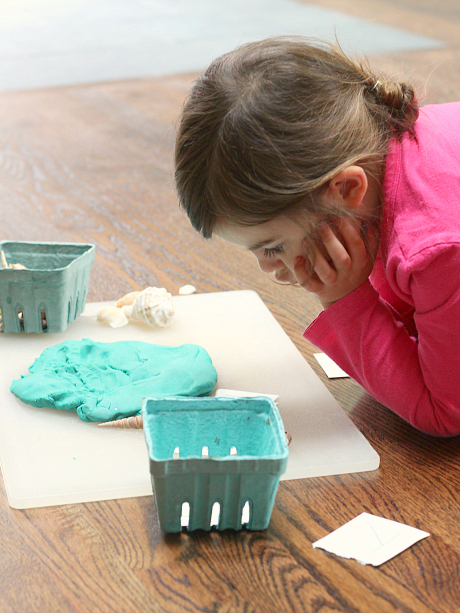 First she pressed the playdough down into a flat surface. 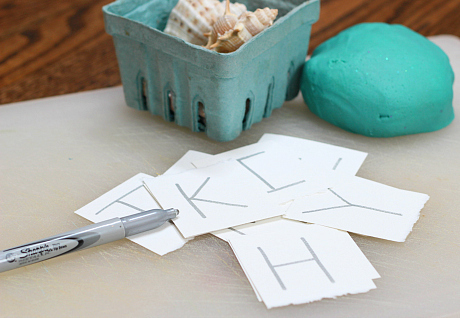 Then she dove right in using the shells to create letters that matched the cards. Some took more planning than others. 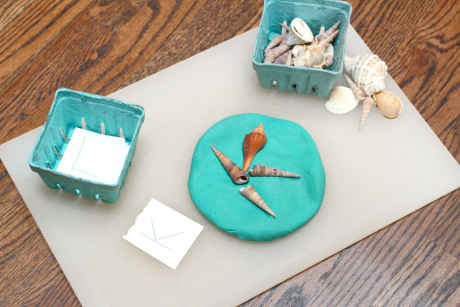 Then she changed things up and started using the shells to write in the playdough. As the play shifts encourage the exploration. 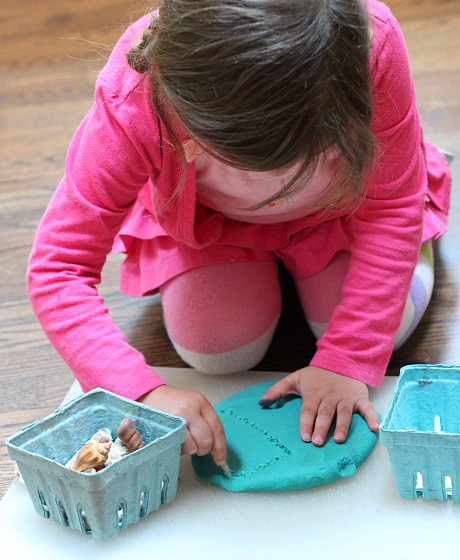 Activities like this are invitations and when they start exploring like this please don’t stop them. She was still learning and having fun even if she wasn’t still doing the planned activity. That is not a bad thing, roll with their discovery! 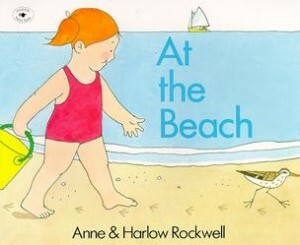 At the Beach by Anne and Harlow Rockwell .A little girl visits the beach with her mom. She plays in the sand, hunts for shells, takes a swim before she settles in to a nice beach lunch. A visit to the beach can be a full day and this story gives the reader a great description of what to expect. This is great for young kids who haven”™t been to the beach. It explains using a young girl”™s point of view what you bring to beach and what you can expect to do once you”™re there. The illustrations are muted and warm and fill the page and included our young red-haired beach girl enjoying herself in each one. 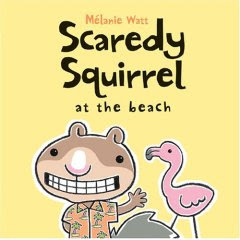 Scaredy Squirrel at the Beach by Melanie Watt is hilarious, I actually snorted while reading it. I love books like this that have absurd humor thrown in with a great story. Before you even start flipping pages on the inside flap you will notice a blurb that ends with “This story is not suitable for pirates” it just makes me giggle! The story follows the most anxious squirrel you”™ll ever encounter as he tries to make his own beach, only to end up at a busy one! What I love about this book are the details, the small asides will have you laughing and the main story will keep even young ones totally entertained. Super fun and a great message about overcoming fears as well. 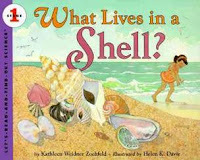 What Lives in a Shell? by Kathleen Weidner Zoehfeld is great book in my favorite science series the Let”™s-Read-And-Find-Out . 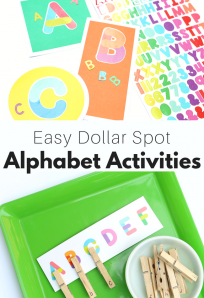 This book is a little long for toddlers but really great for preschoolers and easy to break into parts. The book starts talking about snails, then moves to turtles and finally sea shells. Like the others in the series this book break down facts to a preschoolers level without loosing any substance. If you are looking for a non fiction book for your little one, you must check out this series, they are hands down my favorite non fiction for young children. We are always looking for fun activities to share with our customers. This is a great way to distract them during a stressful move. And we have plenty of shells in Jensen Beach! Thanks. I love this idea……but….as a primary school teacher, I find it puzzling why we teach pre school children to write in capital letters. I still have 7 and 8 year olds using capitals in the middle of words. Why not just start by using lower case letters and introduce capitals when and where appropriate? This isn’t a criticism but an eternal puzzle to me. Great activity though!